14 years ago the Ultimate Fight season 1 aired on spike tv back in 2005, but the majority of cast members headed down to retirement or moved on from the MMA. The TUF 1 members reunite on Wednesday in Las Vegas and photo taken during the time was just breath holding. The cast includes eight members of light heavyweight and eight of middleweight weight contenders including head coach Chuck Liddell and Randy Couture. All the members of the cast from TUF 1 reunited but Josh Koscheck, Lodune Sincaid, and Jason Thacker did not make it to the collection. Other contestants like Mike Swick, Chris Leben, and Diego Sanchez were also part of the reunion. Retired middleweight and welterweight Mike Swick shared memorable pictures of then and now on social media. Of all the contestant from TUF 1, Diego Sanchez is the only fighter who is still competing in the UFC. While Josh Koscheck joined the Bellator after a rough streak that forced him out of the UFC. Chris Leben retired from MMA following his final UFC fight back in December of 2013. Now he remerged to appear at bare-knuckle boxing match later this year against UFC veteran Phil Baroni. 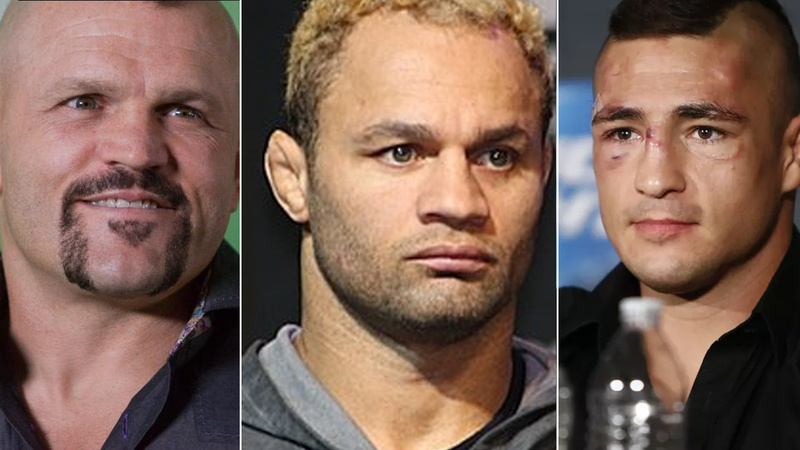 Then the legendary Chuck Liddell who was one of the coaches on “TUF 1” also comes out of retirement for a trilogy fight against longtime rival Tito Ortiz later this year. Meanwhile, Kenny Florian works as a commentator and analyst for UFC. The season 1 of Ultimate Fighter was a great success at the finale which featured an iconic three round war between Forrest Griffin, and Stephen Bonnar both awarded UFC contracts, that brawl increased the ratings on Spike TV to skyrocket when the game was on-air. In an honor of UFC’ 25th anniversary, UFC is putting out together the big collection of documentaries to respect the history of the company.